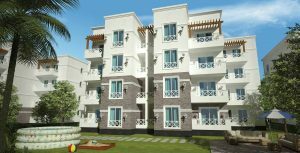 Lagoon Luxury Apartments is the brand new lavish project by ARCO Developments. It has a perfect spot on Egypt’s glamorous North Coast as it’s just a 3 hour drive from Cairo, 1.5 hours from Alexandria and 7 km away from Marina Gate 7. It’s also in close proximity to Borg El Arab Airport and Al Alamein Airport. Lagoon Apartments is the ultimate destination for a summer-long holiday or a weekend getaway, as it’s a place where you can relax, forget about the world and get lost in the beauty of nature. 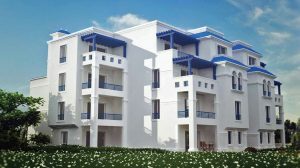 Lagoon luxury Apartments is characterized by its artistic modern summer homes that blend smoothly with the breathtaking elements of nature from the vivid landscape to the clear blue skies and the pristine aquamarine waters of the Mediterranean to provide a sense of warmth and comfort. Lagoon Apartments features a number of facilities and amenities to indulge its residents and spoil them with luxury. These facilities vary from pools to a lagoon, a commercial area, restaurants, cafes, a gym, a spa center, a kids park and sports fields.